The four additional Fokker 100s, including two of the type purchased from Alliance Aviation in May, are already in service, as is the one additional Airbus A320, a Virgin spokesperson confirmed to Australian Aviation. 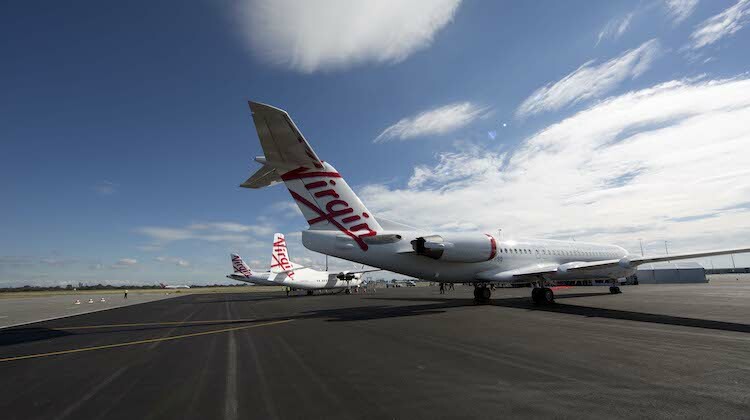 A Virgin Australia Fokker 100, Fokker 50 and A320 at Perth Airport. While there is a net reduction of three aircraft in the VARA fleet with the disposal of eight Fokker 50s offset by the acquisition of four Fokker 100s and one A320, the introduction of larger aircraft represented an overall increase in capacity. The addition of the bigger Fokker 100 and A320s also reflected the withdrawal of some smaller mining players, who used the Fokker 50 to fly their workers to the mines, and the ongoing need of larger capacity aircraft for the major miners. Virgin will cease flights to Albany, Esperance and Ravensthorpe on February 27 2016, when its current contract with the WA government ends. Regional Express and Skippers Aviation were understood to have applied for the Perth-Albany and Perth-Esperance routes, with the WA government expected to announce the results of the tender before the end of 2015. Read more about the Australian regional aviation market in the November edition of Australian Aviation magazine, on sale Thursday October 29. 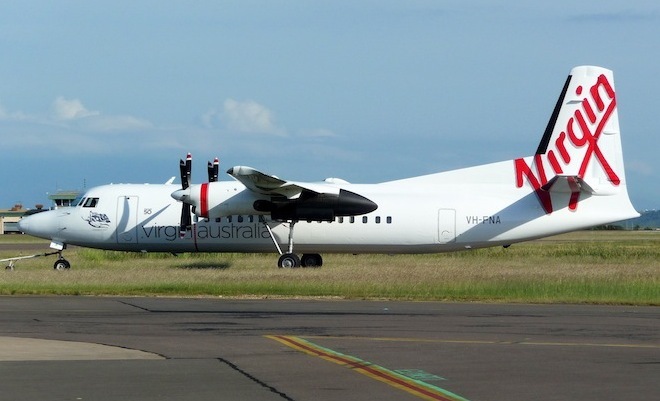 Virgin has ATR72’s, they obviously dont see the need for them in wa. these high time F50’s can’t be worth much ? AUD$500k each or less ? So Virgin come in and buy out SkyWest. Cut the routes, sell the aircraft. Leave WA with a poorer regional air service. What was the point? They finally sold those ugly planes! VARA, like the parent has never made a dime under Borghetti and McArthur. VARA in particular has been nothing but a cash wasteland since VA took over. It ignored the regional RPT market, totally destroying the goodwill Skywest had maintained over near 50 years through mismanagement at every level. It couldnt even make money on regulated, monopoly routes. On Charter it over promised and continually under delivered and flew for clients who just did not pay their bills. That is just plain reckless yet the same senior executives remain. How??? Come on John, have a good hard look at what is continuing to happen in WA and actually give a damn. YOU SAID : these high time F50’s can’t be worth much ? AUD$500k each or less ? The engines alone on each aircraft are worth over $1 million for both let alone the airframes ! Yes they are high time > but tough, well built Dutch Tugs FYI. They would make a top freighter at option at 7 tonns capacity !!! Probably a good thing they are retiring them, the Fokker 100 and A320 would be a better choice for regional operations. What would be the range be if the MTOW was reduced by carrying less fuel.? A 1000km? Does the reduced range cover most of the routes flown? Fokker F50 ugly? seriously? They are beautiful and elegant ladies. Why not keep them and then lease them out? They could probably make more money by leasing them then by selling them! Fokker 50 is a brilliant aircraft. With the amount of cargo Albany gets, a Skippers Dash 8 will struggle (providing they get the contracts) if they were to continue getting the amount of cargo VARA currently get.